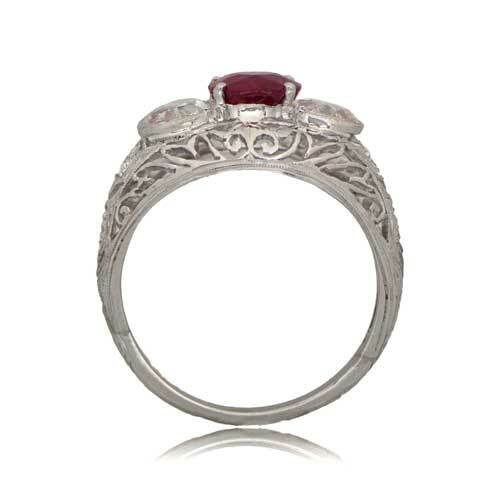 A beautiful and rare antique ruby and diamond ring. 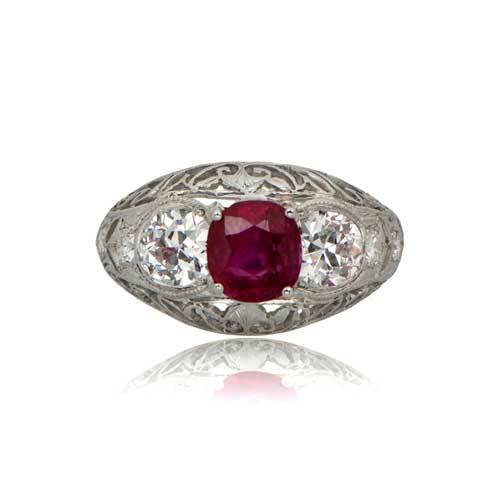 The stunning turn-of-the-century mounting is adorned with filigree and old-mine diamonds. Fine milgrain adds to the delicacy of this handmade platinum ring. 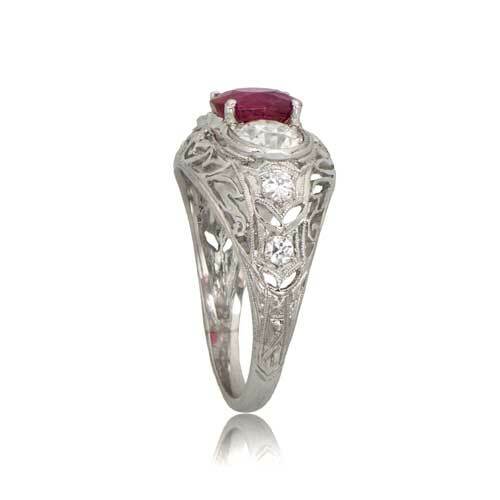 The center stone is 1.27ct Unheated Burmese Ruby and comes with a GIA certification stating that the center ruby is of Burma origin and No Heat. 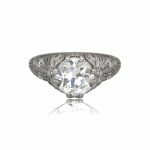 The two supporting diamonds are approximately 0.95ct total weight. 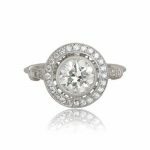 SKU: 11210 Categories: Old European Engagement Rings, Ruby Engagement Rings, Vintage Cocktail Rings, Vintage Engagement Rings - Contact us and request additional pictures.